Data Science Meets Skin Science. Atolla is a skin health platform developed out of MIT that empowers you to take ownership of your skin health by simplifying skin science. 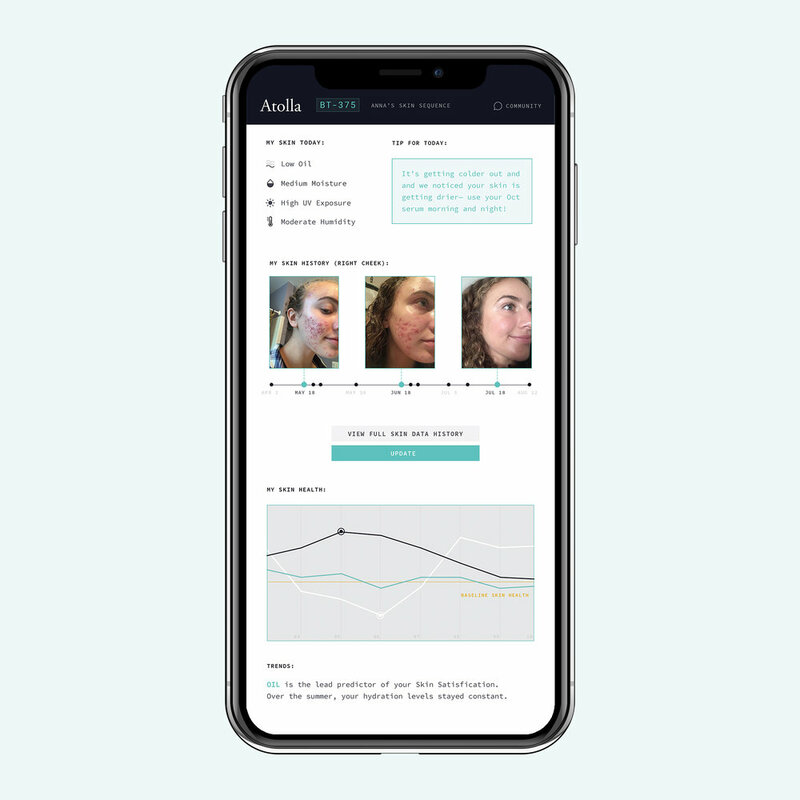 There are three main steps: first we analyze your skin, then we use that information to create you a personalized formulation, and track your skin progress over time. Scientific analysis of your skin to create the most effective skincare for you. Atolla’s automated feedback loop helps you stop guessing. Atolla applies the scientific method to skincare. We help you quantifiably measure what’s going on with your skin, and we use that knowledge to develop your personal formula. You evaluate what’s working and get the right product for you at any given time. With your feedback and results, we help you achieve better skin health and feel more confident in your skin(care). Try out the app first and see what you can learn about your skin! Get the skin answers you’ve been looking for. The countdown to the most personalized, scientific, skincare system ever is on. Atolla is launching Spring 2019. Be the first to receive launch news, exclusive deals, and event access.